Buy 2 or more for just $5.98 each! A clever, unforgettable way to send family photos, a video, or a holiday mix tape. 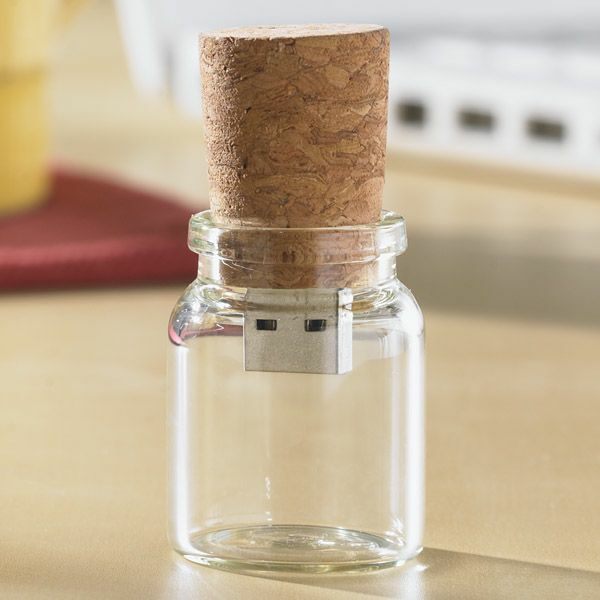 Embedded in the cork is a plug-and-play 1GB USB flash drive, big enough for hundreds of photos, 30 minutes of video, and lots of music (or your own personal podcast). Fill it, then drop it in the mail (not the ocean). Arrives boxed. 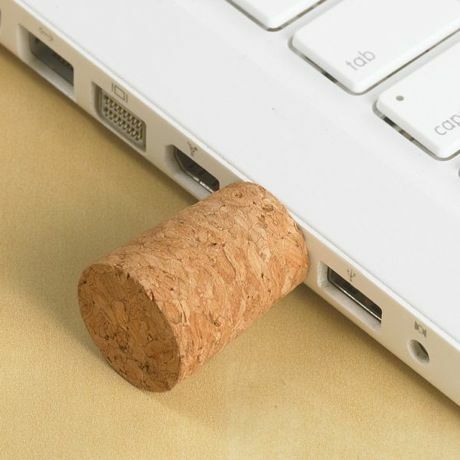 Cork and glass, about 1" diameter, 2 1/4" high.